Obituary for Mildred Anna (Fassett) Purnell | Jolley Memorial Chapel, P. A.
Mildred Anna Purnell, the biological daughter of the late Bertha F. Miller and Thomas Savage Pennewell was born in Berlin, Maryland on August 21, 1924. She was also the daughter of William F. Miller who reared her along with her mother. She peacefully departed this earthly life and entered life eternal on Saturday, April 28, 2018 at Salisbury Genesis Nursing and Rehabilitation Center in Salisbury, MD. “Mil,” as she was affectionately called by family and friends received her formal education in the public schools of Worcester County. Her Christian training was received in a home with parents devoted to the Lord. She was a member of Tyree A.M.E. Church where she attended as an adult. In her latter years, she would attend New Bethel United Methodist Church with her mother and James and Bonita Fassett. 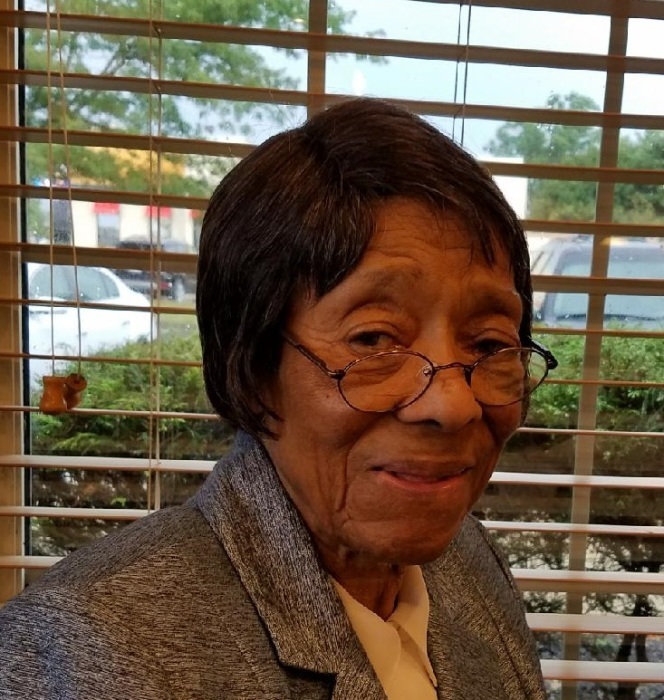 Mildred was formerly employed with the former Campbell Soup Company in Centerville, MD for many years and later retired. Upon her retirement, she became employed as a C.N.A. at Berlin Nursing and Rehabilitation Center, Berlin, MD and Corsica Nursing and Rehabilitation Center in Centerville, MD. “Mil,” was a classy lady who loved to dress. She was very meticulous in her appearance. She was very neat and particular with what she wore. She loved to laugh, go on cruises and listen to music. She also loved children and being in the presence of family and friends. Mildred had a quick answer for everything and most of the time it would be funny and make you turn around and look at her. You would then think to yourself; “I know she didn’t just say that?” She loved Chinese food and hot and cold tea with cookies. She was strong in her faith. Even at 93, you would find her praying on her knees every morning and evening. She leaves to cherish loving memories with her brother: Donnell (Flozel) Savage Pennewell, a very special friend and companion of many years: Thomas Lockwood, cousins who all shared a special bond with her: James (Bonita) Fassett, Edith (Larry) Bishop, Mitchell (Fran) Briddell, Emily Fassett, Brenda Fisher, Toni Pulley, Lillian Fassett, Richard (Trudy) White and a special godson: Thomas Michael Fassett. She is also survived by other relatives, extended family and friends. Five sisters and two brothers: Clara Purnell, Elsie, Leona and Doris Pennewell, Arnita White, and Milton and Richard Pennewell preceded her in death. A funeral service will be held noon, Saturday, May 5, 2018 at New Bethel United Methodist Church in Berlin, Maryland where friends may view one hour prior to service. Interment will be in the church cemetery.